At 3:30 p.m. on Wednesday, August 27th, national renowned violinist Mark O’Connor will present a free lecture-demonstration to the public on his best-selling string teaching method, the O’Connor Method, in the Community Room of the Main Branch of the Santa Fe Public Library. He will be joined by violinist Maggie Dixon for demonstrations of music from the O’Connor Method. Mr. O’Connor has a musical history with Santa Fe in that the Chamber Music Festival commissioned both his 1st and 2nd string quartets and the Santa Fe Symphony commissioned his Fiddle Concerto. 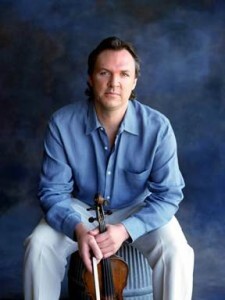 Since winning the Country Music Association’s Musician of the Year for an unprecedented six times as a fiddler, O’Connor has made invaluable contributions to American string music as a performer, composer and educator, with his Suzuki-alternative O’Connor Method quickly becoming a cornerstone of music education. “The O’Connor Method aims to modernize string pedagogy by not only bestowing on young string players comprehensive technical and theoretical foundations but also teaching them how to improvise and creatively manipulate the music they learn,” says O’Connor. The free lecture-demonstration is sponsored by The Friends of the Santa Fe Public Library. The public is welcome. Space is limited. Adults must be accompanied by a child! For more information, please contact the Children’s Dept. at (505) 955-6783. For directions to the Main Library (145 Washington Ave.), please visit www.santafelibrary.org/.